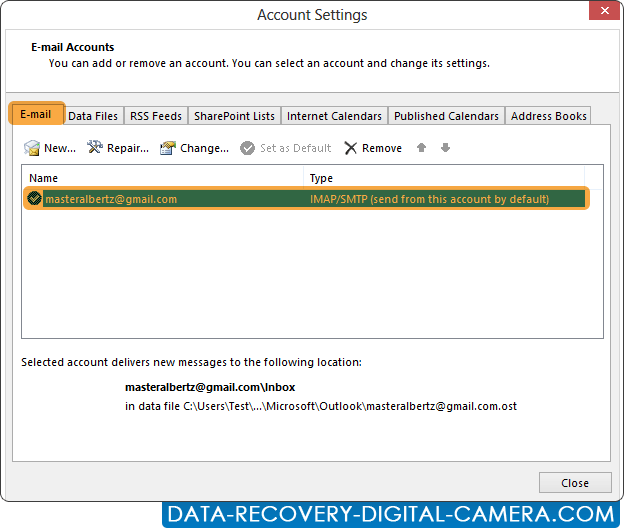 Open your Outlook and Go to E-mail 'Account Settings' option. 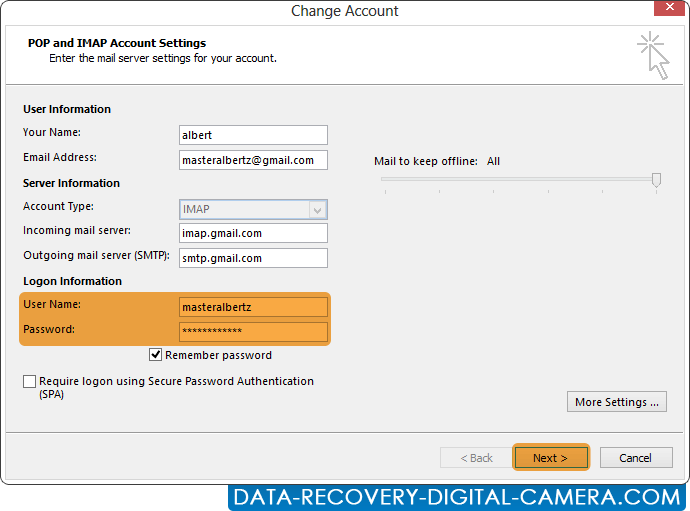 Select your "Email Account" by double click on it then go to "Change" option. 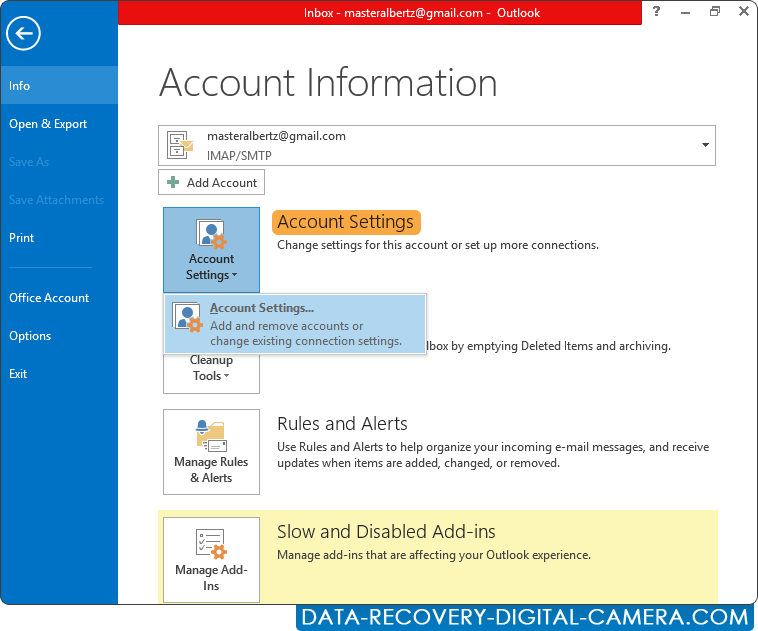 Recover your password by dragging lens over the password box to view password, as shown in above screen.